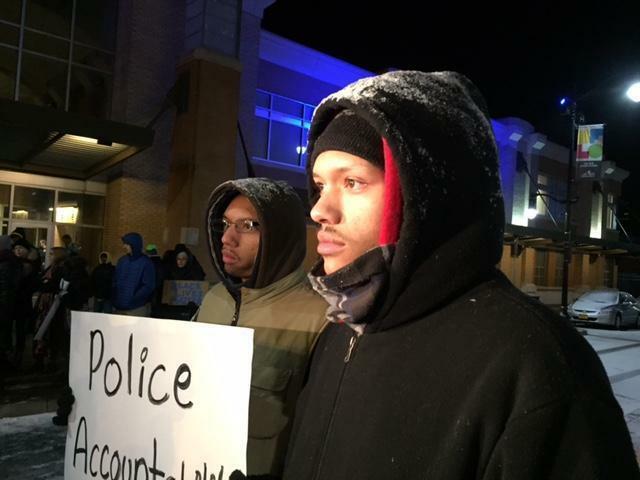 Protester in February demanding police accountability following Wardel Davis' death. On February 7th, Davis was seen leaving a suspected drug house by two Buffalo police officers. He began experiencing breathing difficulties while he was being physically restrained by the officers. An attorney for one of the officers tells the Buffalo News a finding of homicide does not equate to murder. Thomas Burton says homicide simply means death with the involvement of another human being. Burton says the officers did not know of the serious medical problems Davis was suffering from and are not criminally responsible for his death. According to the News, the attorney for the Davis family is claiming there was an extended delay in getting Davis medical attention.